HALO Thermal Scopes are designed and equipped with state of the art 12-micron thermal sensors and high end germanium lenses making them the ultimate solution for the serious hunter, operator, or shooting enthusiast. Day or night, track and pursue your prey with confidence in all conditions. Detect heat signatures invisible to the naked eye. Identify unsuspecting targets in the bush, close quarters terrain, or in open fields. Engage with assurance. 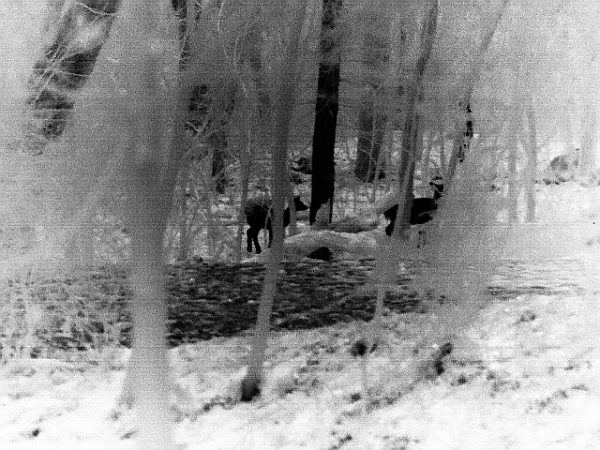 HALO Thermal Scopes provide the superior edge in the pursuit of your trophy quarry. Track your prey through any environment and be confident in your surroundings. Even in the most challenging of weather conditions, HALO Thermal Scopes continue to perform. 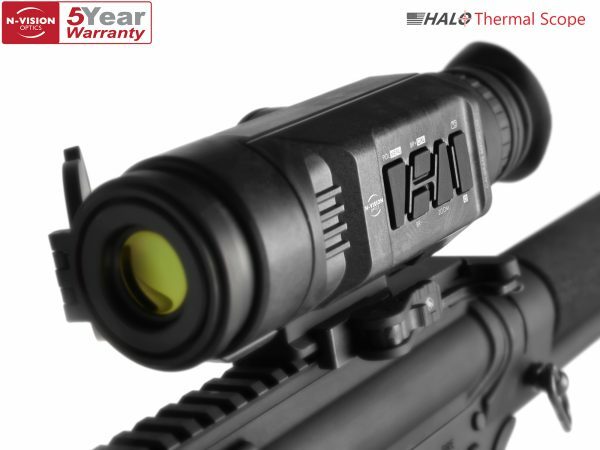 HALO Thermal Scopes provide long lasting battery life, are waterproof, and are equipped with anti-reflective (AR) coated high speed (F1.2) Germanium optics. Rest assured that you will locate and identify what you seek. Detect and identify heat signatures at extended ranges with HALO’s state of the art 640X480, 12 micron sensor, fast 60 Hz refresh rate, and superior optics. Available in 25mm or 50mm objective lens configurations, both with 2X and 4X digital zoom, HALO is built for advanced target acquisition. Observe your targets in complete darkness while utilizing any of the 4 polarity mode options: Black Hot, White Hot, White Edge Detect, or Black Edge Detect. Optimize your viewing experience by selecting the ideal polarity to maximize contrast and clarity. HALO Thermal Scopes are ideal for trophy hunters, predator and pest control, and military operators alike. HALO Thermal Scopes are equipped with unique Region of Interest (ROI) Optimization functionality that enhances image clarity at your point of aim. 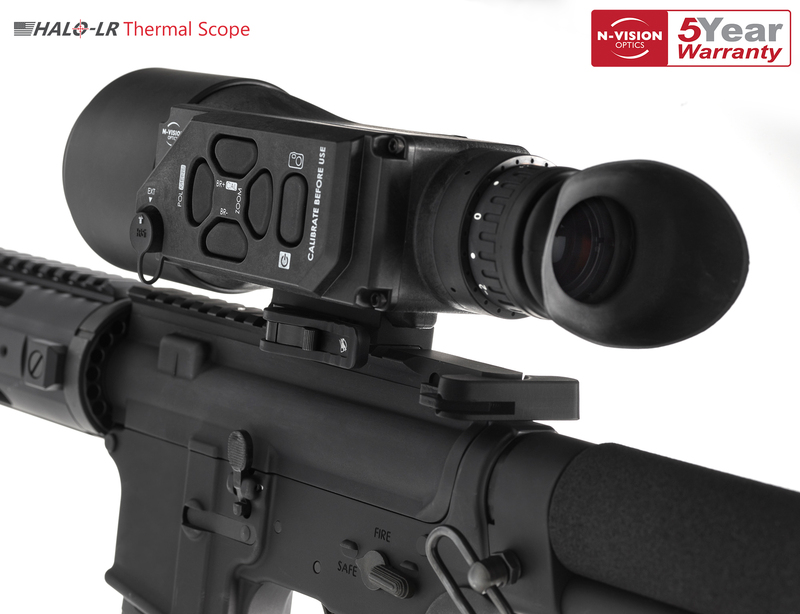 Unlike comparable thermal scopes, HALO Thermal Scopes allow you to pre-set your desired size of interest in ¼, ½, or full screen modes. Select from HALO’s six unique reticles to customize your shoot. The N-Vision Optics HALO Thermal Scopes come equipped with state of the art 12 micron 640 x 480 thermal sensors offering outstanding image clarity and extended detection ranges. 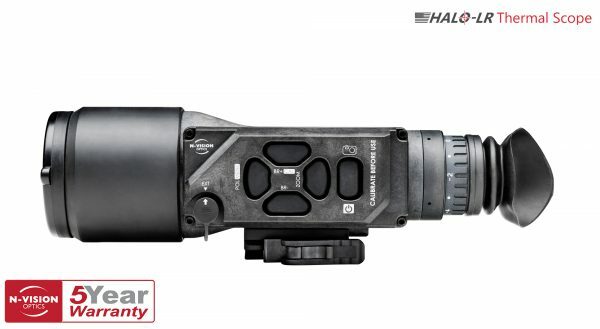 HALO Thermal Scopes feature long lasting battery life, waterproof housings, 60Hz refresh rate, digital zoom, and most impressively, unique Region of Interest (ROI) Optimization that enhances image clarity at your point of aim. 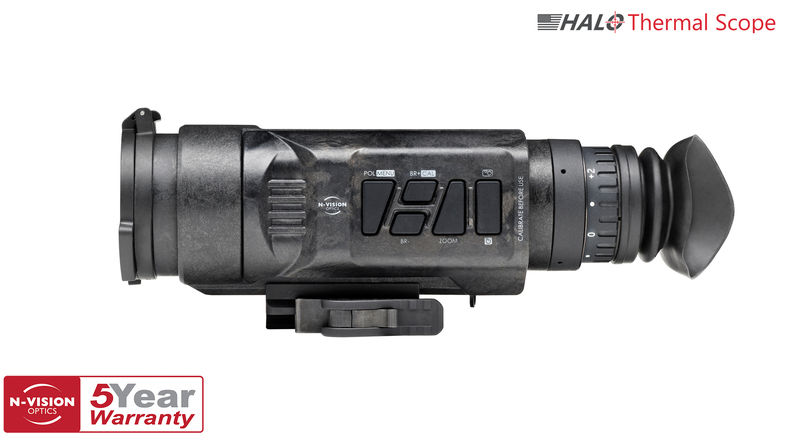 HALO is a lightweight, compact, wide field of view thermal scope designed for short to medium range shooting. HALO-LR takes everything featured in the HALO to the next level for medium to long range shooting. Equipped with all the same features as HALO, HALO-LR is built with a 50mm F1.2 objective lens offering thermal detection ranges (man sized target) of over a mile. 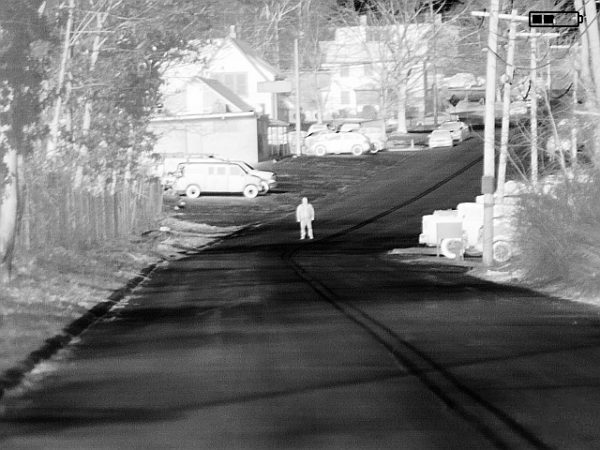 HALO Thermal Scopes enable you to observe targets in adverse weather conditions and complete darkness. 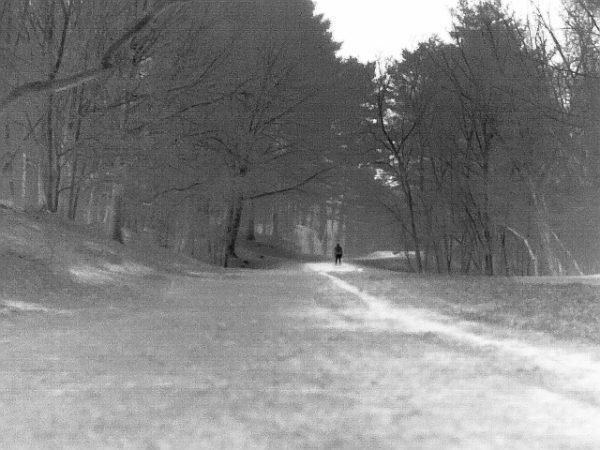 Hunt with confidence in any conditions, day or night. Achieve optimal results by tracking, accurately identifying, and expertly engaging your prey.